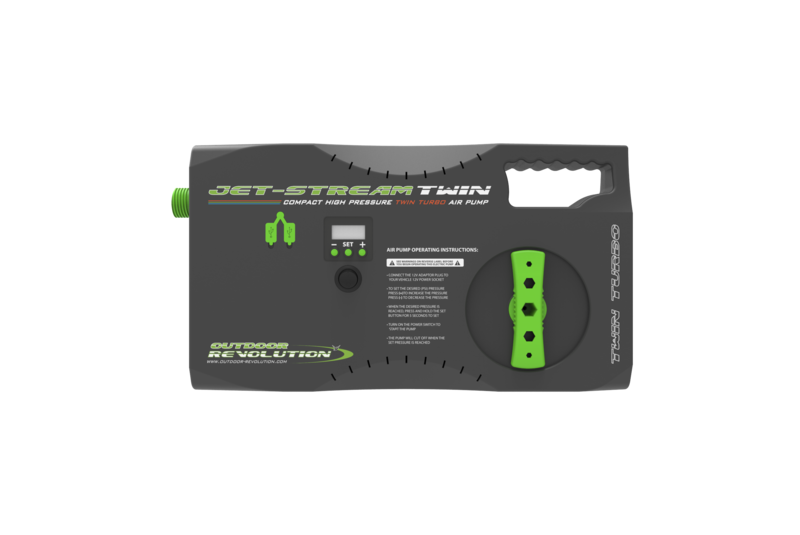 Outdoor Revolution's Jet Stream Electric Pump is a high pressure twin turbo internal air pump, designed specifically for the speedy and reliable inflation of your oxygen air framed awning, drive away awning, family tent, or alternative inflatables, with thanks to the selection of nozzle adaptors included, ensuring compatibility with a range of brands. Powerful and effortless; this accessory is powered by simply connecting it to the 12V DC output socket in your car. The ‘Twin’ model is 70% faster than the standard model, and even features an integral USB charging point for phones and tablets. 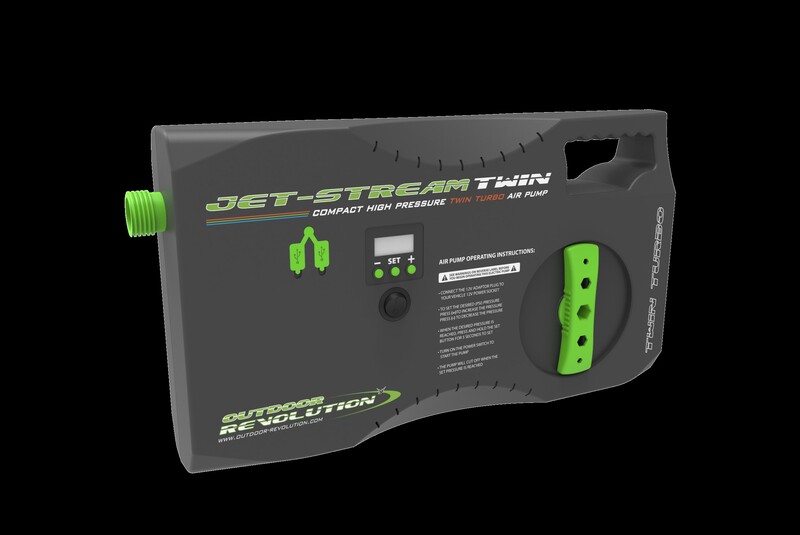 Are you looking for the Jet Stream Electric Pump Twin? 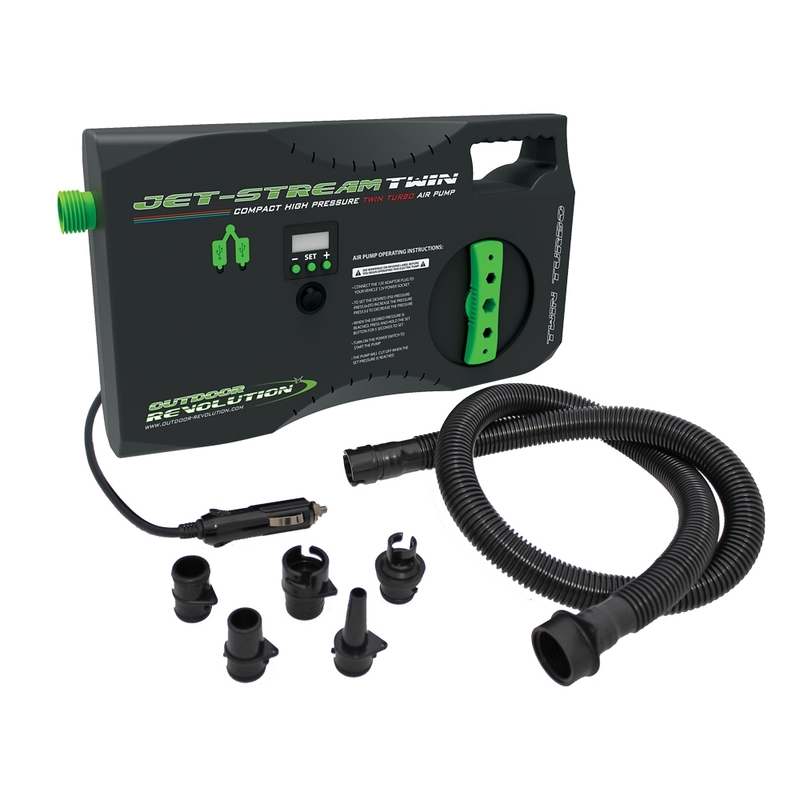 The adjustable, pre-set automatic PSI cut off point eliminates the risk of over-inflation, preventing the internal pressure from surpassing 15PSI; we have incorporated a digital LCD screen read out indicator, which allows you to monitor the pressure and pre-set your desired PSI. The pump features a compact, space saving design, as well as an ergonomic carry handle, in order to improve the overall portability of this product. An internal 3.5m cable reel provides an extended reach from the socket and can be retracted when not in use, due to the reel handle. This model comes complete with a secure 12V plug housing clip and a handy carry bag.